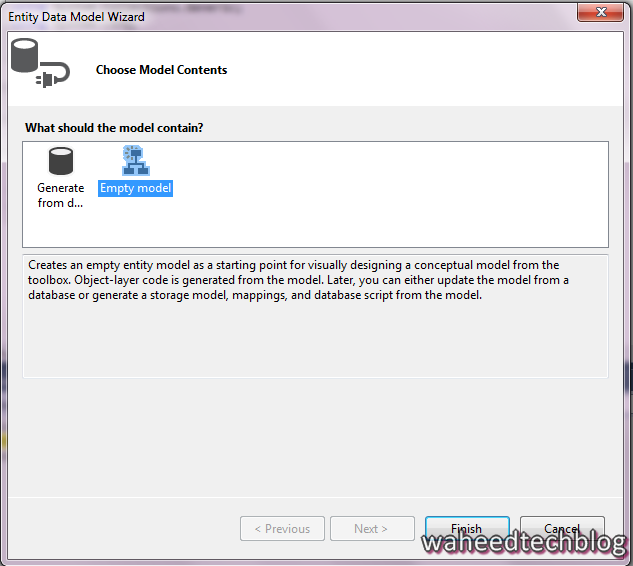 Now Select Empty Model from Entity Data Model Wizard and then click Finish. 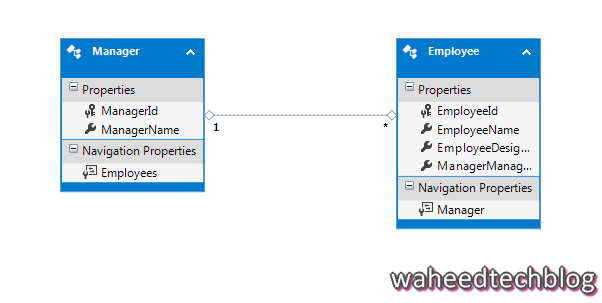 You will see Entity Framework Designer is opened with a blank model, Now you can start adding entities, properties to the model. 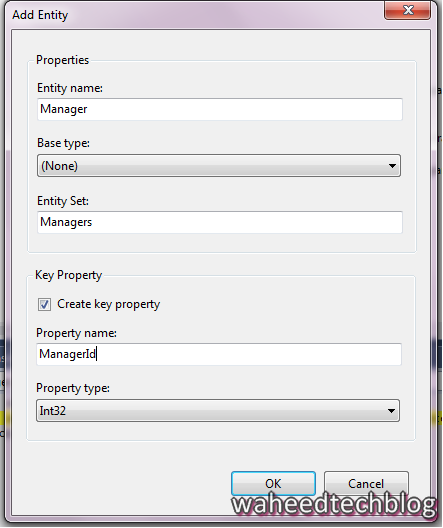 Right-click on the new entity on the design surface and select Add New -> Scalar Property, enter ManagerName as the name of the property. Repeat the above Step and a new entity Employee with a EmployeeId as a key property. 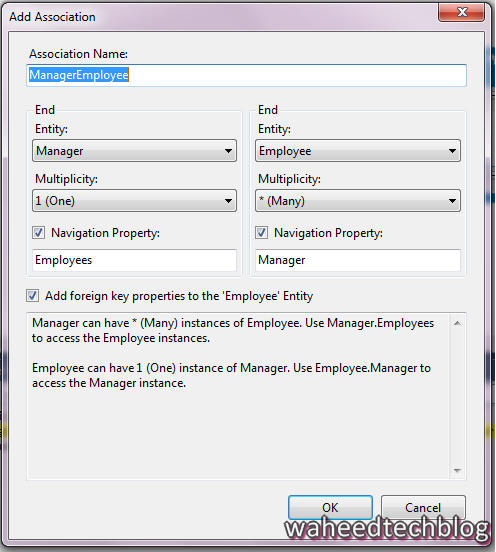 Add EmployeeName ,Designation as a scalar properties to the Employee Entity. Now we need to add one to many relationship (Association) between them. Make one end of the relationship point to Manager with a multiplicity of One and the other end point to Employee with a multiplicity of Many. 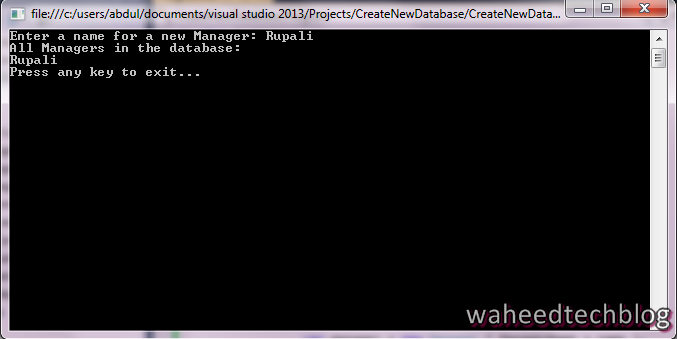 Now we can generate a database from the model and can use to read and write data. 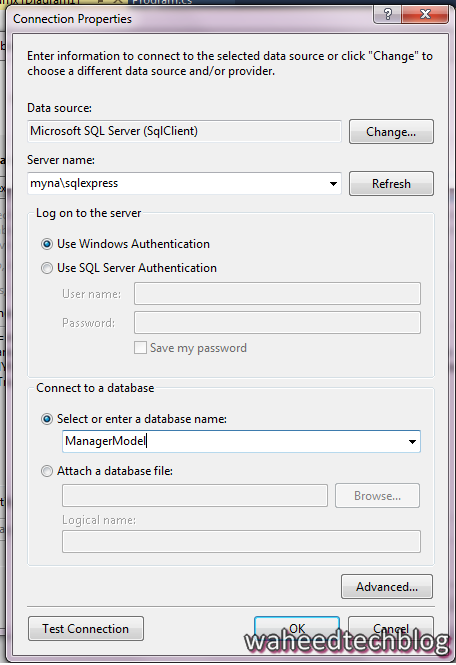 Click New Connection… and SQL Express (.\SQLEXPRESS)and enter ModelManager as the database name. Right-click on the script and select Execute, you will be prompted to specify the database to connect to, specify .\SQLEXPRESS. 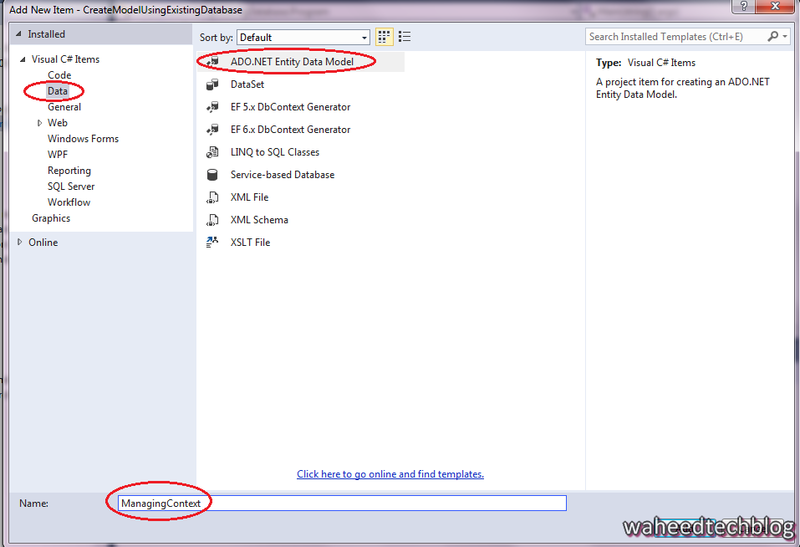 If you checked the Solution Explorer, The Model are already automatically generated based on EDMX file.